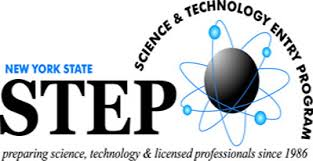 A New York State funded program, STEP is designed to assist economically disadvantaged secondary school students from different Bronx high schools, in acquiring the skills needed to pursue courses of study and careers in science and mathematics, technology, and health related fields. The Bronx Schools involved with STEP are: Celia Cruz High School for Music in the Walton Campus, Pelham Preparatory Academy in the Columbus Campus and Schuylerville Preparatory high school in the Lehman High School Campus. Funded through the New York City Department of Youth Community Development, the COMPASS HIGH Program offers a five day a week quality after-school services to ninth and tenth graders at Astor Collegiate Academy. The goal is 100 percent promotion into the tenth and eleventh grades. Funded through the U.S. Department of Education, the mission of TRIO Student Support Services (SSS) is to provide coordinated academic support services to currently enrolled college students who are first generation college students, with limited income, and/or with disabilities, enabling them to persist and graduate from Lehman College. The mission of TRiO Student Support Services – Pathways to Success is to provide a comprehensive, interconnected series of customized career exploration, academic support, and life-planning services to help students make valuable academic, professional, and personal connections and ultimately gain the skills and knowledge necessary to embark on their unique paths to life-long success. Visit Pathways to Success for more information.